Once upon a Time. . . four simple words which immediately conjure a whole host of possibilities and eventualities in literature and by extension, cinema. In her book A Once Upon a Time: A Short History of Fairy Tale, Marina Warner attests that fairy tales are “Stories that try to find the truth and give us glimpses of greater things. . . this is the principle that underlies their growing presence in writing, art and cinema.” My own personal experience growing up was of reading fairy tales, myths and legends. Indeed, such stories formed a narrative backbone to my childhood and opened my mind to all manner of worlds of monsters, magicians, Kings, Queens, dragons, spiders, ghosts, gold-haired heroines, muscular heroes, acts of love and war, epic journeys; as well as breath-taking battles and feats of unimaginable compassion and bravery. Such an education conditioned my young mind for an array of imaginative potentialities and in later life my love of fairy tales and stories would bleed through into my love of cinema. But how does one make the leap off the page onto the screen, making that which is fantastic believable to our eyes, hearts and minds? In this article I would like to consider certain ways we have been conditioned and how storytellers develop their narratives in the fantasy genre. How does the unbelievable become believable in our minds? There are many ways in which this is achieved but I would like to focus on two methods which are familiarity and nostalgia. How does one define fantasy cinema? One could certainly posit the notion that the fantasy genre deals with fantastic themes including: magic, the supernatural, myth, folklore, exotic worlds, and fairy tales; and for the benefit of this article can encapsulate science fiction, horror and superhero movie genres. Essentially, fantasy is that which is not of our perceived rendition of reality, enabling escape into the extraordinary. Fantasy cinema is not simply dragons and wizards but more far-reaching as their stories cast their magic from childhood to adulthood. I myself recall the day when I first saw The Wizard of Oz (1939) as Dorothy’s journey from Oz literally took my breath away. Moreover, only recently I marvelled at the fantastic images and comedy of Thor: Ragnarok (2017) on the big screen. Lew Hunter’s book Screenwriting 434 is a fine research tool for all budding writers. He opines, “You have to make the audience care about your on-screen people and their dilemmas, and when that occurs you’ve created believable unbelievabilty. Audiences will not just get with a film that starts with what they perceive as unbelievable unbelievability.” Thus, this is an integral rule in getting the audience to suspend disbelief and come into a fantastic world. 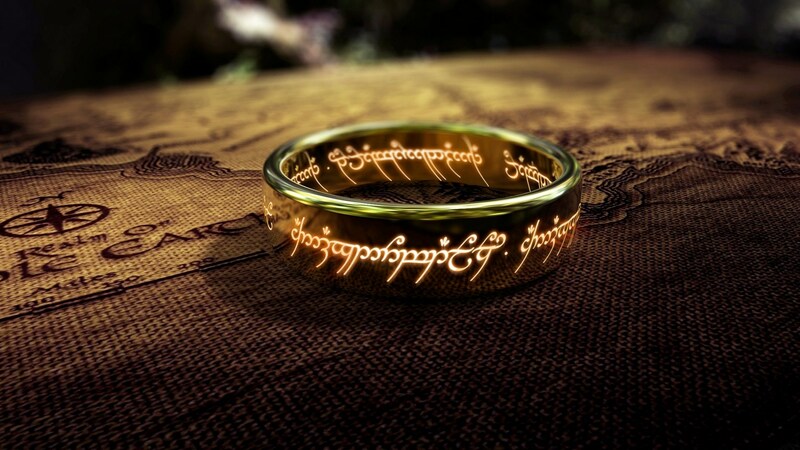 I mean for every Lord of the Rings Trilogy, which in my view brilliantly brought to life J. R. R. Tolkien’s incredible literary behemoth, you get many films which fail to achieve this. Peter Jackson obviously used, at the time, state of the art special effects to achieve his vision of the book but more important, in my view, is establishing the world and characters in the audience’s psychology and making the unbelievable believable. As aforementioned there are many other movies which do not arguably work as fantasy films. Of course these are subjective choices but offerings such as: The Island of Dr Moreau (1996), Judge Dredd (1995), Batman and Robin (1997), Van Helsing (2004), Cat Woman (2004) The Lady in the Water (2006), Eragon (2008), Foodfight (2012), Terminator: Genisys (2015), Death-Note (2017), to name a few, could all be argued to have failed to make the unbelievable believable. Be it the poor writing, bad production choices or a lack of cogency in the presentation of the rules of their respective worlds, these are a few examples of movies which arguably did not work. But what of the films that successfully connect with our imagination. How do they achieve that? Disney Studios has been presenting animated and live action films for close to a century now. As well as developing short animated films centred on iconic characters such as Mickey Mouse, Disney Studios used established texts too. Their first short was Little Red Riding Hood (1922) and subsequently they would win an Oscar for The Three Little Pigs (1933). Thus, the Disney template of utilising familiar stories from folklore or fairy tales was born and since then they have produced many, many such short and feature length productions such as: Snow White and the Seven Dwarfs (1937), Sleeping Beauty (1959) and The Little Mermaid (1989). The suspension of narrative disbelief is achieved because innately we are accustomed to the idea of talking animals or wicked witches or half-woman-half-fish characters as they were familiarised to us in infancy. Indeed, as famous fantasy writer Neil Gaiman confirms, “We encounter fairy tales as kids, in retellings or panto. We breathe them. We know how they go.” Thus, believable unbelievability is achieved due to conditioning as children with the extraordinary. Likewise, our acclimatization with commercial products when growing up, including toys such as: Lego, Transformers, Barbie and the Pixar’s ingenious Toy Story trilogy tap into this familiarity model and the child’s dream that perhaps our toys can actually come to life. As we grow older though many of us can become cynical and lose the innocence and imagination we had when younger. Thus, the challenge for filmmakers is to make not only children but also adults believe in the fantastic and the unbelievable. One way of doing this is through nostalgia or harking back to narrative conventions established from yesteryear. Academic Frederick Jameson wrote in his seminal essay Postmodernism and Consumer Society, that society entered a key cultural period from around the 1960s onwards where modernism had given rise to postmodernism and that originality per se was being replaced by emulation; more specifically satire, parody and pastiche. He goes on to suggest “. . . individualism and personal identity is a thing of the past. 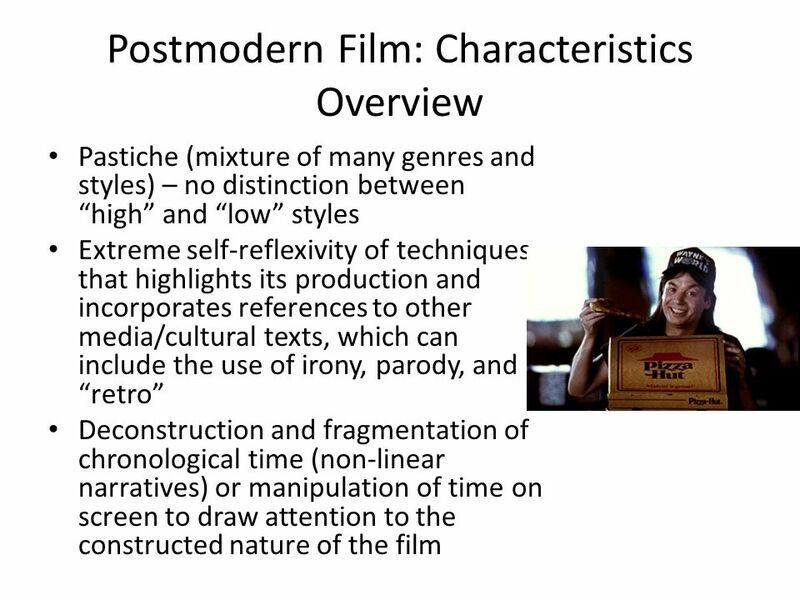 . . stylistic innovation is no longer possible and all that is left is the imitate dead styles.” A cinematic element of pastiche he argues is the “nostalgia film” which consists, not of original narrative, but of film moments and narratives from the previous films. 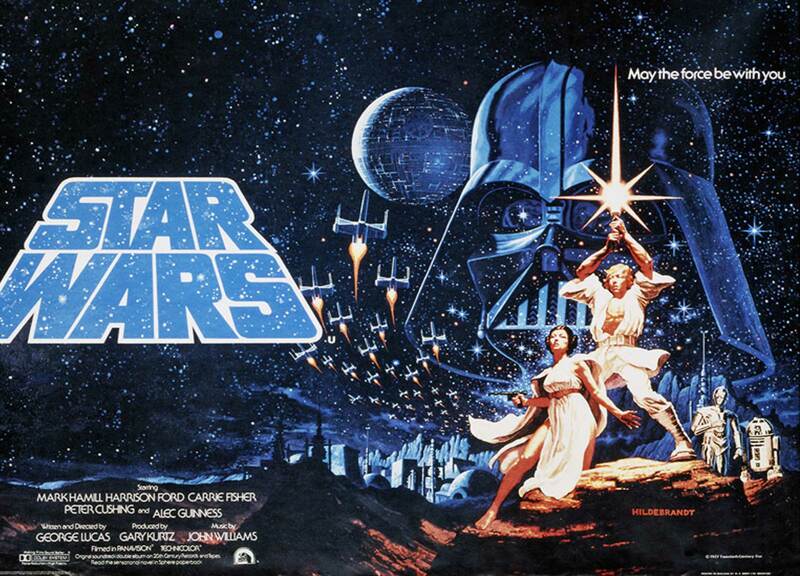 Indeed, one of the most successful cinema franchises of all time is George Lucas’ series which began with, Star Wars (1977). While containing many original elements in regard to the fictional monsters, creatures, planets, space ships, weapons, heroes and villains it’s structurally very familiar, featuring the archetypal hero rescuing a “Princess in a Tower” narrative. Even the “Once Upon a Time. . .” like beginning is echoed in the now classic opening text: “A long time ago in a galaxy far, far away. . .” Moreover, the expositional crawl which then follows is inspired by the early Saturday cinema sci-fi adventures such as: Flash Gordon. Lucas’ genius in using such nostalgic devices creates a clear pattern of familiarity and mental preparation for the fantasy elements yet to come in the story. Lastly, and less obvious, Star Wars also draws heavily, in terms of structure and characters, from Akira Kurosawa’s classic film Hidden Fortress (1958). Similarly, J.K. Rowling’s Harry Potter series is equally adept at creating a magical world out of nostalgia and familiarity. The films are all structured around the school year and generally begin with an opening set-piece set in a mundane suburban area before slowly introducing the fantasy elements. Of course, some of us may not be so nostalgic for our school years but we are familiar with the educational structure. The Harry Potter books and films are a creative stroke of genius creating both emotional connections for children and adults. Children see the characters of Harry, Hermione and Ron as reflection and wish to emulate such characters; while adults can look back on their school days nostalgically and perhaps also enjoy the magical adventures from a position of halcyon positivity. What Star Wars and Harry Potter both offer is a means to project some incredibly fantastical elements but make it believable by setting their worlds in a recognizable environment such as school or through the stylistic signifiers like the opening Star Wars text. Ultimately, most of us love reading or going to the cinema in order to be entertained and escape from our reality. However, if the writer or filmmakers have not successfully created a suspension of disbelief we as an audience will fail to enter their fantasy world. Quality writing, production design, costumes, make-up, performance are of course integral to ensuring we believe what we read and see on the screen. However, as I have attested films also work on a more psychological level of drawing us in using methods such as familiarity and nostalgia to tell their stories. We may not even be aware of this but to make the unbelievable believable it paradoxically must connect with our prior knowledge and experiences, especially those we had as children. Fantastic article, Paul. Couldn’t agree more with Lew Hunter. When I pay to see a film, I want the film to succeed. I’m sitting in my seat hoping suspended disbelief works and I will be engaged. I also liked the paragraph regarding our post-modern world where it was stated the narrative now is not original. What is popular are the nostalgic rehashings and hybrids of all we know and love from our past experiences. These mash-ups call us to engage in dramatic irony; we are trained to spot the references to the past unbeknownst to the characters, and that helps satisfy our need for escapism. I guess it’s true that we always need some kind of tether. Even fantasies need to be grounded. Yes indeed. It’s in the subtext but we are almost brainwashed (in a positive way) as children via fairytales to absorb the negatives of life and reality too.